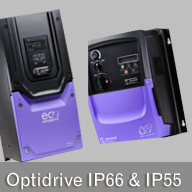 Simply power on and Optidrive E3 is up and running, providing precise motor control and energy savings using the factory settings. Precise and reliable control for IE2, IE3 & IE4 motors. Precise digital control at the touch of a button. 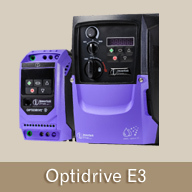 Switch between Industrial, Pump & Fan modes to optimise Optidrive E3 for your application. 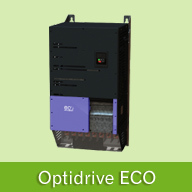 An internal filter in every Optidrive E3 saves cost and time for installation. 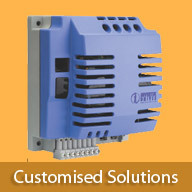 Innovative technology, reliability, robustness and ease of use in a range of compact IP20 & IP66 enclosures. 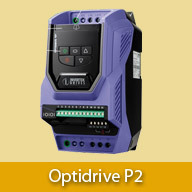 Industrial mode optimises Optidrive E3 for load characteristics of typical industrial applications. 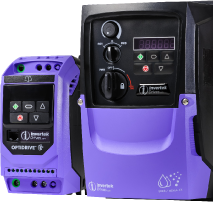 Pump mode makes energy efficient pump control easier than ever. Fan mode (inc. fire operation) makes air handling a breeze, ideal for simple HVAC systems. Copyright @ 2012, Mactrol Automation Solutions Ltd.